Bodybuilders or fitness freaks need to pay a lot of attention on their shoulders flexibility, strength and posture. Arched shoulders or bent over shoulders will cause strain and injury in your muscles, which will cause disruption in your regular performance. 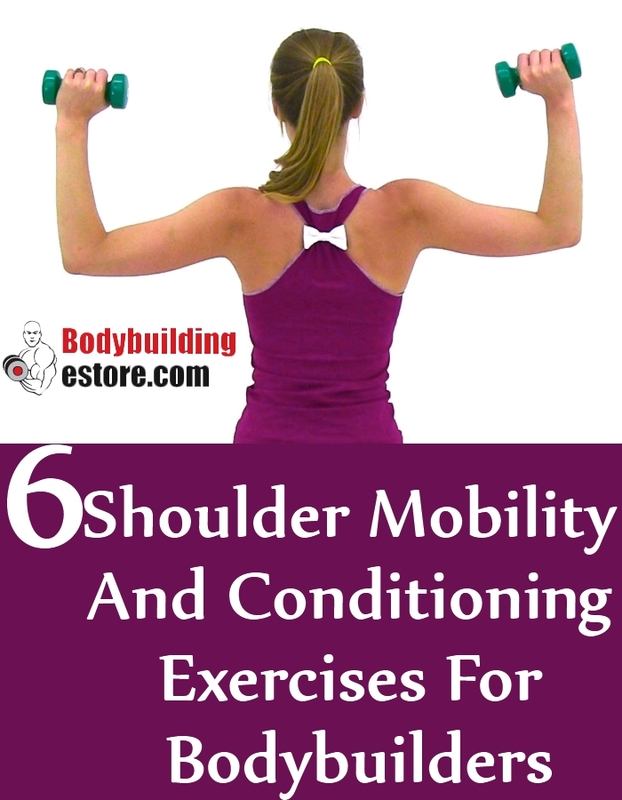 These effective super conditioning exercises help in keeping the shoulders pulled back and help in building power and effectiveness of the muscles. Blood circulation improves which helps in maintaining and improving power and grip of the muscles. These exercises should be included in the daily routine of fitness freaks. You need to start the workout in a plank position as you keep the hands on the bench. Your hands shall be a bit wider than the shoulders and in a comfortable position as you start working out. You can lower the body till the elbows are completely bent to make a 90-degree angle. You can get back to the start position and repeat at least 15 times. This exercise helps in improving your posture, improves flexibility and strength and helps in keeping your shoulder pulled back. However, be sure not to strain yourself when you are doing this workout or you might injure yourself. For this workout, you need to lie so as to keep your stomach down. You need to do this exercise in a workout bench, which should be ideally at 45-degree angle. You can hold on to a dumbbell in your hand. Let your arms hang down and move them close to the ground. You need to pull the elbows back in this position and bring them in line with the shoulders. You will be squeezing the upper back and your rear shoulders in this position. This will be one repetition. You need to do at least four to five repetitions. This is a magnificent exercise which helps in keeping your shoulders pulled back and improves the strength of the shoulder muscles, which helps in optimum performance, especially of the bodybuilders. You need a dumbbell in your hand. Lie down with your face downwards. Your belly shall be centered on the stability ball as you keep your legs extended. Your feet shall be a bit wider than the shoulders. Keep your arms extended and close to the ground so that they form a Y. Your palms shall be facing one another. You can raise your weights above your head. Now, you can lower and then repeat. Repeat at least 12 times. You will need a dual pulley machine for this workout. Your feet shall be firmly planted and a little distance apart. Now, hold on the handle of the right pulley in the left hand. You will also the hand of the left pulley in the right hand. As you do this, you will notice that the cables are crossing one another. You can slowly step back lightly so that you are able to feel a good tension in cables. Now, slowly open your arms and then squeeze the shoulder blades. You will maintain nice straight arms with a little softness in the elbow region. You need to pause a bit and then release to start once again. Start the exercise as you keep your feet hip distance apart. Your hands shall be just in front of the thighs. You will be holding dumbbells. As you keep the elbows straight, you will slowly lift to the arms, to the height of your shoulder. You will maintain your arm height, as you move the hands so that you are able to reach a side. You need to hold a breath and then slowly lower the hands, just beside the thighs. You can slowly reverse the movement and get back to the start position. You need to repeat at least 12 times for best results. This is a great exercise for keeping your shoulder back, maintain a good posture and build strength to the shoulder muscles. Start by anchoring the center of your resistance tube to your chest height. This should be just in front of a medicine ball. You need to sit on this ball as you hold the handles of the stability ball, at least shoulder distance apart. It should be positioned at the height of your chest and also will be just in front. Your palms shall face the ground. You need to bend the elbows at this point as you slowly move the hands close to your shoulders. You can get back to the start position and then repeat. You need to repeat the movement at least 15 times.